Unfortunately, the launch of the Android version hasn’t been the smoothest. The company first announced it won’t be releasing the game on the Google Play Store but through its own website. Then it had a timed exclusivity with Samsung devices. Even though that was short lived, the game is still not available to every Android device, with only a few hand-picked devices being supported right now. Most importantly, the game being released right now is still in beta, and not the final release we saw on iOS. For starters, installing the game is not as easy as simply hopping on to the Google Play Store and downloading it. Samsung devices have it a bit easy, as you can go to the Galaxy Apps store and download the game from there. I’m not sure why the game is available on Samsung’s store and not Google’s. Perhaps Samsung doesn’t take a cut from Epic Games for transactions or perhaps Samsung paid a hefty amount to have it on its store. One can only speculate. Once you download the game from the Galaxy Apps store, you realize it’s not actually the game itself but the game launcher. This is the same launcher that other Android phones will be downloading later from Epic Games website to install the game. Why Samsung had to distribute the launcher through its store and not the game itself is confounding. The launcher does nothing but download the 90MB or so game, which then sits alongside the launcher in your app drawer. It’s not clear what the purpose of the launcher is beyond this point, whether it will be used to update the game or not. The game can clearly download new data on its own so it’s curious what the launcher does. Uninstalling it made no difference and the game was still accessible. Once you start the game, you are faced with another hurdle. The 90MB game you downloaded wasn’t actually the full game at all but more like an installer and it will then download 1.9GB of data. Fortnite pulls this same stunt on iOS as well and it’s rather disingenuous as you are lulled into thinking the game isn’t that large when you see the app store size and then it drops this 1.9GB bomb on you once you launch it. First and foremost, do not download anything from the Google Play Store or from a third-party web source. Epic has made it clear that it’s only distributing Fortnite on Android through its own website. That means any link you see on Twitter, Reddit, or in the Play Store that claims to provide the official APK file is suspect and not worth the risk of infecting your device with a virus or some other malicious software. Even searching for the app on the Play Store will return a special warning from Google reading, “Fortnite Battle Royale by Epic Games, Inc is not available on Google Play.” So be wary of anyone claiming to have a workaround to the waiting list, or of any app that looks like it could be legit because, well, it’s probably not. 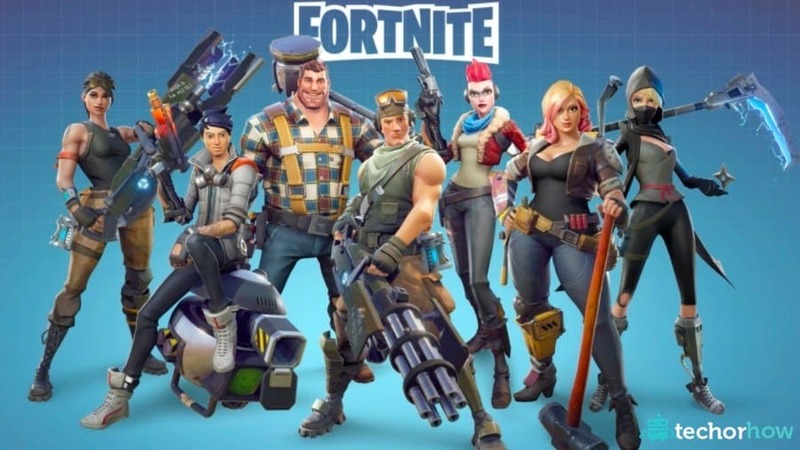 If you have a compatible Samsung device, you can download Fortnite right away, either through the Samsung Game Launcher or Epic’s website. That device list includes the new Note 9, of course, but that phone hasn’t even launched yet. Other compatible Samsung devices include the Galaxy S7 / S7 Edge, S8 / S8 Plus, S9 / S9 Plus, and the Note 8, as well as the Tab S3 and S4 tablets. For those with non-Samsung devices, Epic has a full list on its website here. It includes the original Pixel, Pixel XL, and their successors, along with a suite of midrange to high-end Asus, Huawei, LG, OnePlus, and Xiaomi devices. Make sure you log in with your existing Epic account, be it your Epic username on PC or your PlayStation Network / Xbox Live account. That way, you can get Battle Pass progression across platforms and keep your skins, emotes, and other cosmetics on Android. The final part of the process is to just hold tight. Epic says it’s “inviting players in waves” and that “you’ll be notified via email once you are invited.” Given how sophisticated the company’s network infrastructure is these days and how many platforms it now supports simultaneously, I imagine it won’t take too long for invites to go out. The company says the process should take a few days. The iOS version of Fortnite remained in a sign-up beta for a little more than two weeks before it launched for everyone on the App Store. The same should be true for Android — that is unless Epic runs into some unforeseen hurdles due to its direct distribution model. So if you don’t like the waiting list approach, the wider availability may likely occur sometime in September. Because of the unique distribution model here, you’ll have to download two separate applications, even on Samsung devices. The first will be the Fortnite Installer, which is the official APK file that then installs the game. In order to do this, you may need to turn off special permissions in your Android settings that allow you to download third-party applications, depending on which version of Android you have and what your existing security settings are. After that, you’ll need to go through a series of download sequences that are a bit more involved than your standard app installation. Once it’s completed, you should be able to boot up Fortnite, log in into your account, and start playing. Epic is advising users to keep the Fortnite Installer program, as it’ll be responsible for updating the game with new patches.